When it comes to roofing, you never want to end up working with a company that offers poor and low-quality service because roofing should always be done by professionals in order to avoid any issues in the future. 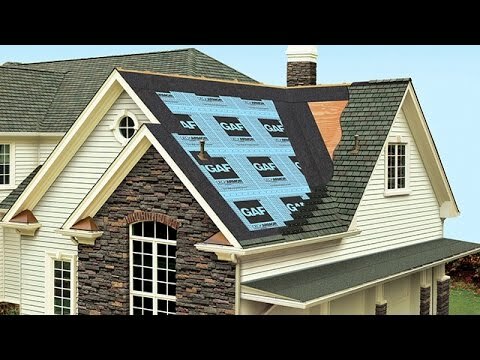 If you move into a new house, you are getting the risk of having bad roofing because you don’t know what quality job they have done. That’s why it is very important to properly maintain it and get it checked out once you move in, just to make sure that your roof is in good condition. There is nothing worse than having a bad roofing job because your entire home can suffer from it, especially if you live in a rainy area, you will constantly have leaks all around your house. Dealing with leaks is not fun at all, you always have to make sure that you fix the issue as soon as possible because one leak in the roof can cause a lot more damage to the structure of your home. In this article, we will be taking you through the process of choosing the best roofing company for your home. The reason why making the right choice is so important is that you have to make sure that the quality of your roof is top. Otherwise, you might be having all kinds of issues around your home later on. Definitely, the first and most important thing that you want to search for in a roofing company is a lot of professional experience. You cannot hire a roofing company that has no experience in the field because they will most likely do a terrible job and you will end up having to pay much more money just to fix those issues. Therefore, if you want to save money with the roofing process, you better find a company that has many years of experience. If you have any previous experience working with a roofing company, then you will know that some companies will charge you for making an estimate. However, you should know that there are few companies that offer a free estimate. Therefore you don’t have to spend any additional money on just the estimate. This is extremely beneficial for people that are moving into a new home and need a professional to estimate the condition of the roof. One of the key things that will definitely be a sign of a great company is that they will offer you a warranty on the work they have done. If the company is any good, they will want to prove it to you by showing how they trust in the quality of their work. No matter what the job was, they should always provide you with a warranty even on the smallest repairs. Therefore, if you want to find and choose the best roofing company, we strongly suggest that you start searching for a guaranteed warranty on repairs. This way, even if something does go wrong, you can get it fixed for for a fraction of the cost. Once you follow all these tips,we can assure you that you will be able to find the best roofer for your home whether you’re in New York, Texas or Baltimore. And if you need a recommendation for a roofer in these areas, you can always start by looking at all their social media and who replies and is active on the sites. One example is for Baltimore, They are Four Twelve Roofing. Now, these guys are always on top of communication with clients not matter if you’re just looking for an estimate or a whole replacement job. You can check them out here Four Twelve’s Facebook or any of their contact means.See you in the next post!